Managers of REWARD constitute the "internal mechanism" of the company. 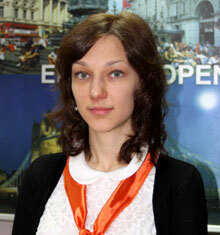 Their work ensures the viability of the whole company. Their positive attitude, energy and focus on desired results and smooth interaction largely determines the successful development of our language centre. The vast majority of our managers are fluent in English and other foreign languages, which makes it possible to communicate and deal with foreign teachers and foreign partners. Many of them attend our evening classes and participate in other extra development programs of REWARD, mastering their skills. "Our FLC Reward is a great team; it is primarily people who DO care. It is a workplace that is fun to go to. It gives a sense of joy, not only from our achievements, but also from going forward, in mastering new interesting projects, in exploring and expressing our creativity. 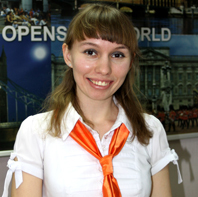 We strive to develop our own abilities, as well as the offering the opportunity for others to learn and to learn about themselves, whether it is a new employee, realizing their potential, or the client, whom we can help learn a foreign language and to make their lives brighter and more interesting!" "For me "Reward" is not just a job. This is a great team of friends and associates, who are easy to work with and who you can rely on at any moment. "Reward" gives everyone the opportunity to realize their potential, as it provides all the necessary conditions for a successful career. In our company, I have a feeling of stability and I feel confident about our future." "What is a dream job? It's a job that gives you pleasure. If you enjoy what you do, you will be self-satisfied, have inner peace and achieve greater success than you could have imagined. That's the job you can find at the Foreign language centre REWARD. There is everything here that makes me feel happy and helps me to develop my skills and grow both professionally and personally." 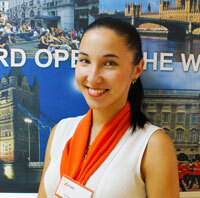 "I like working at Reward because it is very interesting and exciting. The company has been developing for six years and today it`s an extremely successful. Here I can meet new people and achieve new goals. Being part of a well-developed corporation I can put into practice new projects, improve my communicative skills and learn something new of course." "Reward is a unique place, where professional people work, but though we’ve got a huge experience, we keep developing, constantly finding something new and interesting. Reward is a place where every team member is self-developing and improving his or her skills." 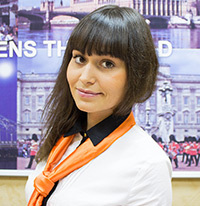 "I like to work in Reward, because here I have the opportunity to communicate with interesting people not only from Volzsky, but from all over the world, to constantly evolve and improve, to meet challenges and reach new heights. 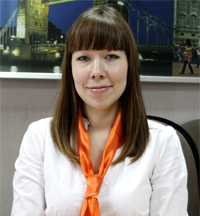 Work in a successful and growing company with its friendly team of professionals brings me joy and satisfaction." "Reward" is a leading company with unique projects and enormous potential. Here I have the opportunity for self-development and working among creative people with real professionals. “Reward” provides me with a whole world with a variety of cultures and languages."